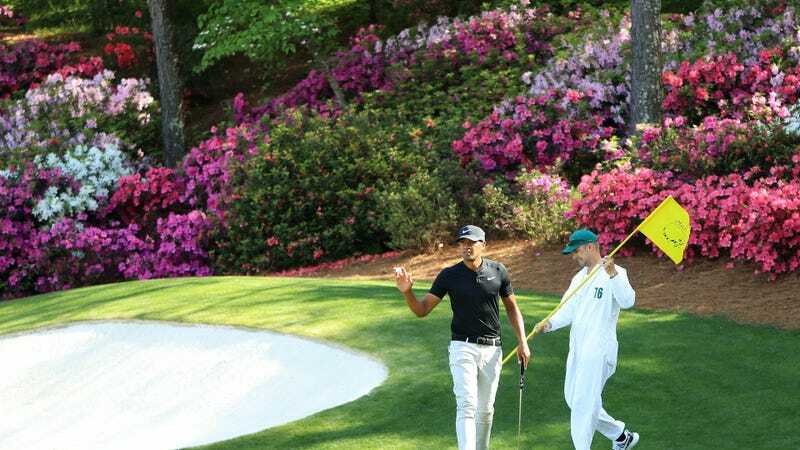 Yesterday, Tony Finau’s first time at Augusta looked like it might be over before it even got a chance to start; today, he’s sitting pretty in second place after one of the best Masters debuts in a decade. But he made it out there after all, and then he tore things up. After bogeying the first hole, he didn’t err again on the front nine, shooting -3 there and finishing at -4 for the day. When Finau walked off the course, he was tied for the lead, though Jordan Spieth ultimately surpassed him, thanks to a string of five straight birdies that let him end the day at -6 and hold first place on his own. Just like if Gus Frerotte had come back out there after head-butting that wall and scored two more touchdowns, or something like that.